We are pleased to introduce ourselves as a professional vigilant & comprehensive Security Service Consultants. Counted amid the well-known Security Companies in Delhi, we provide Helper, Driver, Computer operator, (ITI and diploma Holder) for Industrial, Domestic, Corporative Service of all sorts. Ours is an organization with the dedicated and highly motivated team of experts. We have security understanding dealing with wide range of security services, uniformed Security officers, Bodyguards, Event and Venue crowd controllers, Products solutions and other International security projects. Apart from Delhi, we render Security Services in Haryana as well. 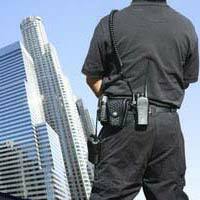 Whatever you want in a security company, consult with Rathi Personnel Training & Placement Service Pvt. Ltd. We offer safety & security solutions for your family and business 24*7 days a week, by our professional experienced manpower. We recognize that your success and our future rest on ability provide perfects security cover what we promise. Our mission is to provide superior security that meets and exceeds our customerâ��s expectations and competitive price and to the time. Our collaborative term approaches all projects to provide security with sense of responsibilities that allows us to find better ways to reach our goals together. Our highest commitment is to be conducting our business its unfailing like to be treated. We are taking care of our customers as well as our employees also. We are giving them Bonus, Dresses and other gifts from time to time for motivation. Thatâ��s why they are working properly and giving their 100% on job.